I'm guilty of several DNFs, but this book I finished fast. I found Running Man both interesting and inspiring. What's more, Charlie Engle can write and tell a story. I have followed Charlie Engle with some interest since Running The Sahara came out. I liked the epic documentary produced by Matt Damon. Then I found out he has has done a lot of adventure, bike triathlon and ultrarunning races. However this is not primarily a book describing all of his races. The most compelling parts of the book are about the crazy ideas he has filled his wild life with: booze/drugs, running across Sahara, and simulating 135-mile Badwater in prison. The main take-away point from the book is that life is all about adaptation - it's not the circumstances we are dealt that define us. 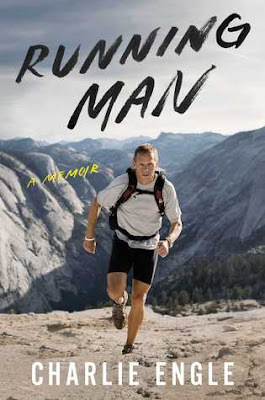 Running Man is the best endurance sports memoir since Rich Roll's Finding Ultra. Run and get it.